Yesterday saw a packed agenda delivered with a few laughs and some serious learning, today will start with a full two hour session with Bob Catalano and Bryan Shumsky. The topic for discussion is, of course, O4W Programming Practices. This will be the first of two O4W training sessions, with the second being delivered on Friday morning, so more on that later. O4W is fast becoming the tool of choice for Revelation developers (clients) building web and mobile solutions for their clients. Revelation Software are also moving large chunks of www.revelation.com into O4W based content and it is nice to see a software manufacturer using their own tools across their business. 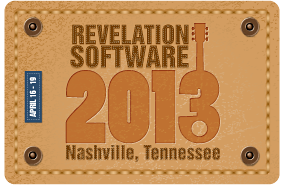 What’s better than Revelation’s new O4W tool? Free training!! Since announcing the RUG and O4W sessions in London, several things have happened which have caused me to rethink my plans for the O4W training session. It has become clear that there is significant interest in the new web technology, but with the economy the way that it is, people are finding it hard to get a second day off work, to secure the fee and also the associated travel expenses. We are confident that you will love O4W and want to base your future web and mobile development on the technology. In fact, we are so confident; we have decided to waive the fee. However, that comes with a few conditions. Firstly, we will no longer be holding the O4W day at the Hilton Metropole. Instead we will be holding the day at our Ealing offices. This does therefore mean that we will need to restrict the number of attendees to just the first eight registrants and also limit the number of attendees to just one person from any one company. For this reason I would urge you to contact me as soon as possible. I’ll be creating a waiting list for those people that miss out on the available places. Please note – I will be happy to bring O4W to you and run through the technology at your offices or online through WebEx, but remember that I am NOT a programmer and I will not be able to cover the O4W APIs in the same way that Mike will be covering them at this FREE O4W session. I am pleased to confirm that the venue for the RUG on the 8th November and the O4W training the day after has finally been confirmed. Both days will be held at the Hilton Metropole in Edgware Road, London and I have included an outline agenda below. Please note that numbers will be limited for the O4W training day. During the RUG, Mike will be concentrating on some of the new features in OpenInsight 9.3. Many of these will enhance your time developing with OpenInsight and there are some useful additions to help end-users gt more from their OpenInsight based applications, such as the brand new Banded Report Writer. This is set to be the reporting tool of choice in OpenInsight going forward and reports written in the BRW can be run from both OpenInsight desktop applications and also O4W based applications. In addition, we have Data Encryption at Rest featuring as part of the 9.3 major enhancements. Written to address the legislative requirement in the USA from Jan 1st 2012, this is a technology that we should all be looking at and I can see European governments following suit and forcing compliance on us here in the EMEA region in the not too distant future. If you are an OpenInsight developer, End-User or someone working with or thinking of using a MultiValue toolset, then this really is a must attend event. With data connectors for Rocket’s Universe and Unidata (U2), TigerLogic’s D3 and SQL, and with connectors for mvBase and QM coming very soon, Revelation are opening up the toolset to make MultiValue application development and reporting over the desktop and web even easier, faster and therefore cheaper. Please contact me without delay if you have not already registered your place and you would like to now. Please also drop me a line if you would prefer to discuss the value in attending either of these two events. I look forward to seeing you in London on the November 8th for a great day.